Dear fellow traveller, welcome to Trikala- Meteora! 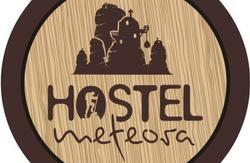 The brand new Hostel Meteora is located in Trikala city, 10 miles east from Kalambaka village. There is bus and train connection every 1 hour and it takes 15 minutes to reach the Holy Meteora. Trikala city is a very beautiful city of 90.000 residents, much cheaper than Kalambaka touristy town. There are many cafes, bars and lovely restaurants with tasty greek food, out of the beaten track!. A nice river is crossing the city, many bridges, a Byzantine castle, a nice old city, a hill with a zoo, and many parks! The ideal place to relax and hang out until late midnight after your day tour to the Holy Meteora Monasteries! Hostel Meteora is a fun, fresh and friendly place to stay! Excellently located in the heart of the city in Trikala, Central Greece, 10 miles from Meteora, this international hostel provides you with the perfect base for sight-seeing and adventures by day and partying by night. All of Thessaly's major hot spots, like Meteora, Delphi, Mount Olympus and Kissavos Beaches, are easily accessible thus you gain a great experience of real Greece in just a little time. Our friendly and welcoming staff will be more than happy to provide you with plenty of information about the city and how to get around, ensuring you are able to make the most of your stay in Trikala, Meteora. The hostel is owned and run by a local family who are also travellers and able to offer you a good insight into this magical city as well as some insider's tips on the best places to go and where to eat out and have fun! If you wish a pick-up from train or bus station, please take the 'Superior' Dormy and send us a private e-mail for your arrival time. Hostel Meteora is located in Trikala city, 10 miles east from the village of Kalambaka. Trikala is the prefecture's capital, with 80.000 residents, remarkable cultural life, vibrant nightlife and significant historical monuments. There is excellent connection with Meteora featuring 20 buses and 6 trains every day, let alone taxi and private tours. As you are standing on the Central Square of Trikala you can see a fountain with a little statue of a peeing boy in the middle of the square. Pass by the fountain heading North (NOT towards the river). Now you see in front of you a big street named 'Kondili Str. '(ÎšÎŸÎÎ”Î¥Î›Î—) and a big corner building of the 'National Bank of Greece' on your left hand. Pass by it and just go straight ahead, walking on the wide pavement of Kondili Street. At the fifth (5th) intersection, just after the Computer Store 'Edit PC' turn left on 'Papagou Street' (Î Î‘Î Î‘Î“ÎŸÎ¥). Walk another 50 meters and Hostel Meteora with a light sign and a big column is just in front of you. Welcome! As you exit the train station you can see a big street in front of you. This is 'Asklipiou Street'. (Î‘Î£ÎšÎ›Î—Î Î™ÎŸÎ¥) Go straight ahead, following this street until its end. This street becomes a pedestrian street somewhere in the middle and you pass by the cafe spot of the city. At the end of Asklipiou Street you cross the Central Bridge and you are on the Central Square of Trikala. You can follow now the directions from the Central Square above. There is a bus from the Central Bus Station to the Central Square every 30 minutes. It costs 0,60 euro. When you arrive at the Central Square follow the directions from above. Alternatively you may take a taxi. It costs 5 euros, but discuss the price from the beginning with the taxi driver. DO ALSO INSIST to take you to TIOUSON 51 Street in TRIKALA and NOT IN KALAMBAKA!!! !